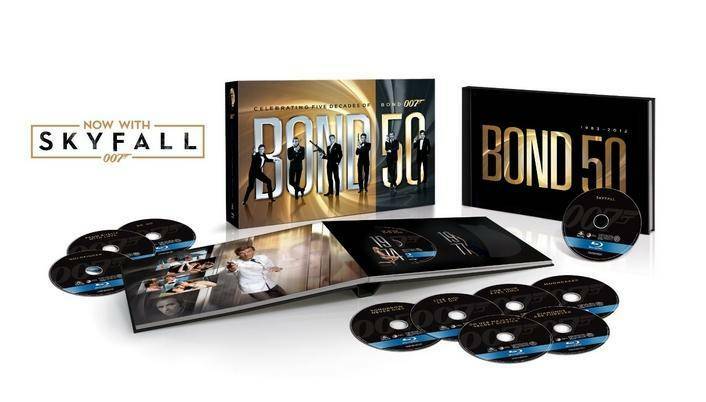 James Bond The Complete 23 Film Collection on Blu-Ray $99.99! Home / Deals / Online Deals / Amazon Deals / James Bond The Complete 23 Film Collection on Blu-Ray $99.99! This would make such an awesome gift for any James Bond fans! Today only, you can get James Bond The Complete 23 Film Collection on Blu-Ray priced down 67% today to only $99.99! This is normally $300, and with 23 Blu-Rays at $99.99, that makes each movie only $4.34 which is fantastic on Blu-Rays! Jake and The Never Land Pirates Tiki Hideout Playset $39.99 Shipped! The Hunger Games Trilogy Boxed Set Hardcover just $27.94!